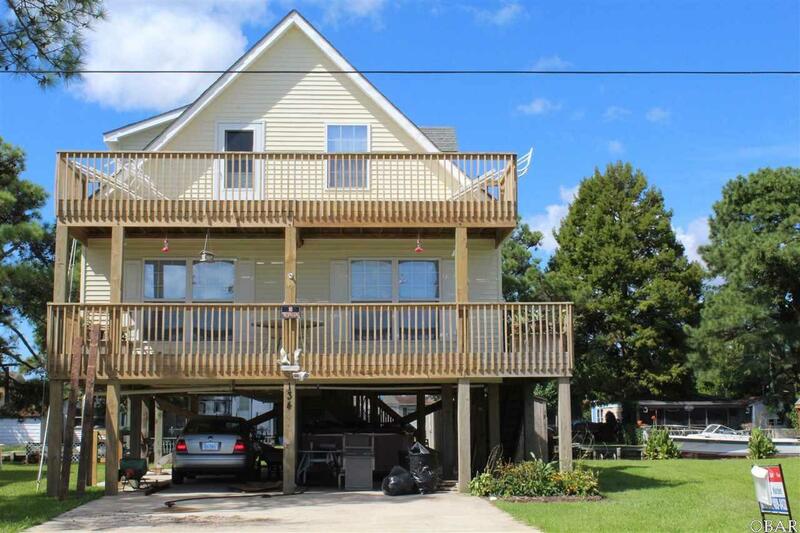 Nice semi-soundfront, canalfront home with vinyl siding. 2 levels of sundecks overlooking the sound. Beautiful sunrises! 60 feet of canal frontage. New carpet, 2 new storm doors, new roof. Shows very well! Storage building. Double driveway with plenty of room for parking. Deep carport, dry entry. Extra wide deck on main level. New carpet being installed. Nice deck off second bedroom upstairs. Tiled kitchen and baths. Main level has kitchen, dining area, large great room, full bath and bedroom. Second level has bedroom, full bath and large room that could be family or rec. room. Great second home or residence for this low price! Ready to move in!